All the capabilities of the single line Alpha Clocks is also available in a double line display. No need to page flip or scroll information. 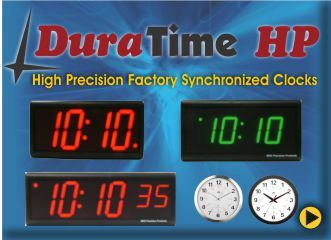 Of course that functionality can be programmed into the display to see the time and date information in the format that works best for you.